Transfer from the Airport to the Bus station - Lima to Nazca. Trip on bus from Lima to Nazca (14:00 hrs - 20:45hrs). Trip on Bus from Nazca to Pisco(14:30 hrs - 17:30hrs). Night at the hotel in Pisco. Trip on Bus from Pisco to Lima (13:00 hrs - 17:00 hrs). Tranfers from the airport - Hotel and Hotel - airport. 1 City Tour to "the City of kings". 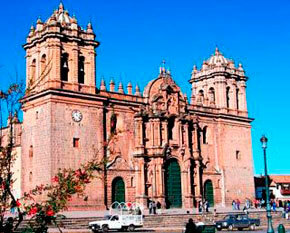 1 City Tour in Cusco and surroundings (Afternoon 13:30hrs - 18:30hrs). 1 typical music show and dances of Cusco (from 19:00hrs to 20:00hrs). 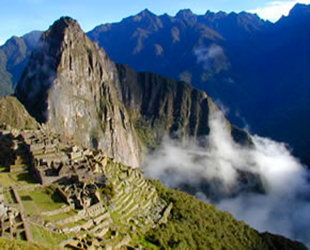 1 Tour to Machupicchu (Full day 6:00hrs to 20:00hrs). 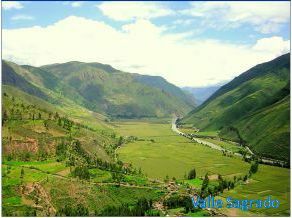 1 Tour Sacred Valley of the Incas (Full Day 8:00hrs - 19:00hrs). Transfer from the tourism bus terminal to the hotel or airport. 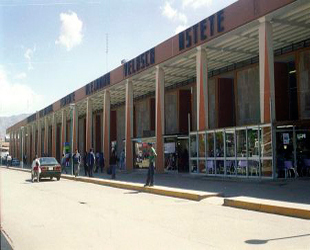 Once you arrive in Peru our personal will welcome you in the hall of the airport and drive you to the hotel. After resting for a while we'll start visiting the most interesting places of the "City of the Kings" the Cathedral, Pizarro's Tomb, the Catacombs of San Francisco, passing through the Congress, the Palace of Torre Tagle. You must be in the airport of Lima at least two hours before your flight leaves to Cusco, you only have to approach to the airline counter and display your ID's to check in ,the flight to Cusco lasts 1 hr and 10 minutes, In Cusco " The Archaeological Capital of America ", Our staff will be waiting for you to drive you to the Hotel, where you will drink coca tea then you can rest for a while. Around 1:30pm we'll pick you up from your Hotel to start visiting the following attractives with a professional guide: The Koricancha Palace and Convent of Santo Domingo: Religious center known as "The Temple of the Sun" where you will admire the impressive engineering used in its construction. The Cathedral: Colonial religious monument of extraordinary artistic value. Sacsayhuaman: Built at 3 Km. From the city of Cusco, impressive stone fortress with an excellent architecture, Famous for its huge carved stones some of which are at 9m/30 high,with a weigh of 350 tons. Here is where the Inty Raymi or Fiesta del Sol is held in June Every year. Qenqo: Ceremonial and ritual center, amphitheatre where sacrifices were made. Puca Pucara: An old tambo (resting place), monitoring place throughout the Inka Empire Routes. Tambomachay: At 7 Km. from the city of Cusco, ceremonial center of cult to the water, known traditionally as the place where water rests. At the return to Cusco we can be dropped off near to main Square or at The Dance and Music Show to watch tipical dances of Cusco. From 5:45 to 6:00 hrs., we pick you up from your Hotel in Cusco (3400 mosl) and drive you to the Train Station, located in Poroy, then we get aboard the train and the trip from Cusco starts heading to Aguas Calientes (2000 mosl). Our Guide Will be waiting there , he will lead us to the bus station, to go up by a zigzag way for 30 minutes to reach the world wide marvel The Sanctuary of Machupicchu, known as the lost city of the Incas. Once we get to Machu Picchu, We'll pass throught the control, where we'll hand in our entrance tickets and where our guided tour will start, visiting the main square, the Circular tower, the sacred solar watch, the royal rooms, the temple of the three windows and the cementeries, it lasts around two hours. Afterwards you'll be given enough time to have a walk around the citadel and have your meals, at any restaurant in Aguas Calientes or if you wish at Santuary Lodge (this is not included). Trip by Plane from Cusco to Lima and trip on bus to Nazca After you have breakfast in the hotel and once we`re ready we will head to Cusco's Airport (1 hour from Cusco to Lima). Our staff in lima will be waiting for you at the airport in Lima to transfer to the tourism bus terminal from Lima to Nazca (6 and a half hours aproximately), once arrival in Nazca our staff will be waiting for you to drive you to the hotel. Flight over Nazca linesIn the morning after have breakfast at the hotel you will be picked you up ant afterwards you will be transferred to the local airport of Nazca. 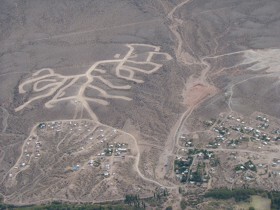 Up on your arrival at the airport, our staff will show you a video film about Nazca Lines. 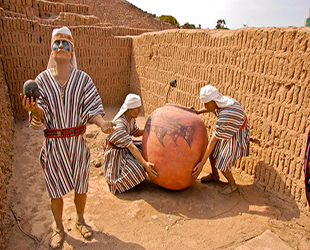 This interesting documentary last about 40 minutes and invloves serious information about the Naza culture, as well as the figures you will see from the air. For this aerial tour you will board a small Cessna single-engine aircraft (Station air, Skyhawk or Skyline type), which has spacious room for 5 people, each person with a window seat. After the video, our English speaking pilot will proceed to give you a briefing about this air tour and also will give each participant a map of the archaeological zone, which shows all the figures you will see from the air. After some basic information about the Lines and safety instructions, you will board the airplane and will take off. In a matter of just 2 minutes you will be flying over the Nazca Lines zone, and the first figure you will see from the air it will be the whale. This beautiful marine deity is located on the eastern part of the archaeological complex, and was drawn over a big rectangular figure (see Nazca Lines map). As soon as we get close to the whale our pilot will let you know and then will fly in circles over it. The next figure you will see is a triangle, which appears over a small hill featuring 3 points. On the other side you will also see the famous trapezoids that, according to Erick von Daniken were ancient runways for visitors from another planet. These trapezoids are about 2 kilometers long and their perfection is stunning. 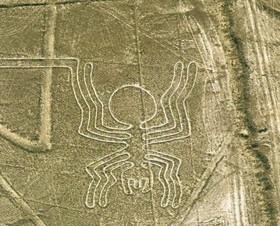 Some kilometers further west we will find one of the strangest creatures on the Nazca desert (The Astronaut). Unlike the other drawings, the astronaut was etched on the slope of a small hill, and not on the desert surface. His body is facing to the south and according to Maria Reiche it does not represent an astronaut, but a shaman or ancient Nazca priest, someone with magic powers who could predict the weather. 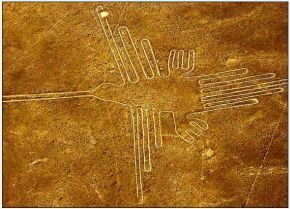 Later on we will fly over the monkey figure, an enormous drawing that measures about 90 meters in length, and shows at one hand five fingers and on the other just four, symbolizing the 9 month of drought the Nazca people suffered every year. The monkey figure was discovered in 1954 by Maria Reiche, and according to her point of view it is associated to the big deeper constellation. After the monkey, we will fly over the dog figure, a small drawing that according to some scholars it represents a divinity worshipped by the Nazca people. Then it comes one of the best preserve figures of the whole area (The hummingbird), a gorgeous design perfectly made on a dark plateau located at one corner of the archaeological complex. According to Maria Reiche this figure is associated with the summer solstice, as one of the lines connected to its beak, points towards the place where the sun rises every year during our summer solstice. Not very far from the hummingbird, you will find the spider, a figure that according the local knowledge, represents the fertility and water, as this insect used to appear when it is going to rain or the water in the rivers is about to come. Some meters away we will find the huge condor figure, featuring a straight line that crosses its wings and points towards the place where the sun sets every year on summer solstice. Our next figure will be the flamingo, which is the longest figure on the desert, with over 300 meters. According to Maria Reiche the beak of this bird points towards the place where the sun rises every year on winter solstice. Then we will fly over the parrot figure, a huge bird with about 230 meters in length. In addition to the parrot you will also see several geometric designs around, and the beautiful valley of Ingenio. Finally we will fly over the Pan-American Highway, where you will see 2 figures; the hands and the Huarango tree. If you look carefully, you will find next to the tree, another figure representing a big lizard. Unfortunately when the people built the highway in 1937, they had no idea that ancient figures were drawn there, so the cut the lizard figure in two, destroying mainly the central part of its body, leaving the tail on one side of the road and on the other side part of its back, and its complete head with its two hands. After flying over these figures, we will return to the airport and during the way back you still can enjoy other straight lines that run for kilometers and a stunning panoramic view of the Nazca desert. Very early in the morning you will be picked up from your hotel in Paracas by our local guide. Then you will be transferred to the Paracas harbor located nearby. At the Paracas dock you will board a speed-boat equipped with life vests and comfortable seats. At this point is advisable to wear a good jacket or wind breakers as it gets very windy once the boat gets in motion. We will leave then towards the Ballestas Islands. Along the way we will see the famous figure known as The Candelabro, an enigmatic design etched on the desert floor hundreds of years ago. The Candelabro is overlooking the Ocean, so here you will have the chance to take pictures, as well as to learn about the most popular theories about it. Afterwards we will continue to the Ballestas Islands.The Ballestas Islands are inhabited by an amazing marine life, with over 200 types of migratory and resident birds, including Peruvian Pelicans, gulls, Humboldt penguins, guanay cormorants, red-legged cormorants, Inca terns, Peruvian boobies, turkey vultures, among others. 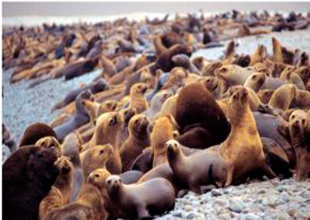 In addition you will also see around the Islands hundreds of sea lions resting at the beaches, sleeping on the rocks or swimming nearby. The Islands also provide shelter to the shy Humboldt penguins which are usually seen at the entrances of small caves near the cliffs. 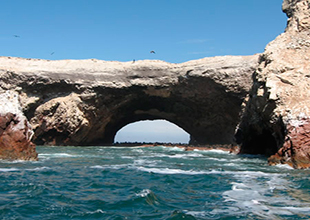 After touring around the islands for about 1 hour we will return to the Paracas harbor. After all our visits we will take a bus to return to Lima where our Local guide will be waiting to take you to the airport where our tour will end.